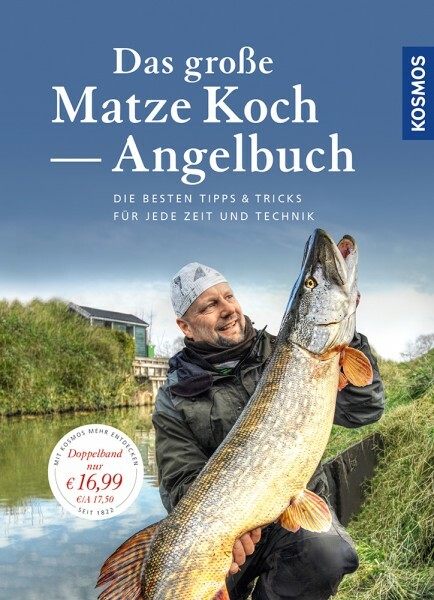 Product information "Das große Matze Koch Angelbuch"
Hardly anyone has the talent to convey the fascination of fly fishing as persuasively and lively as star fly fisher Matze Koch. His two successful books Fly Fishing and Fly Fishing Tips for Every Technique have now been published together in a comprehensive handbook for beginners. Matze Koch explains the basics of fly fishing step by step in the first part. The second part offers lots of tips and tricks for every fly fishing technique. The authoritative instructions guarantee a quick start and ensure success. Matze Koch is the star fly fisher of the magazine Fisch und Fang [Fish and Catch]. He inspires young and old, beginners and advanced fishers equally with his authentic reports and ingenious tips.